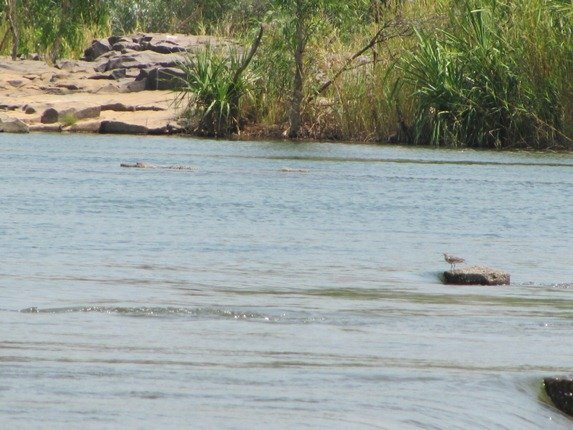 After spending a couple of days at Parry’s Lagoon Nature Reserve on our recent camping and birding trip we headed to the town of Kununurra. It is an hours drive to the small town, which is on the border of Western Australia and the Northern Territory. 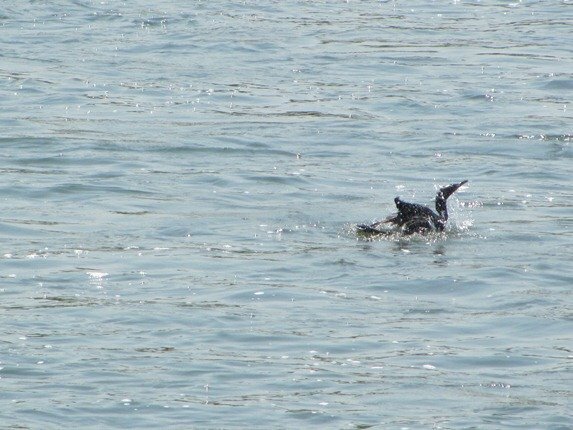 The weather continued to be very hot and dry and we were able to visit several water bodies looking for birds. 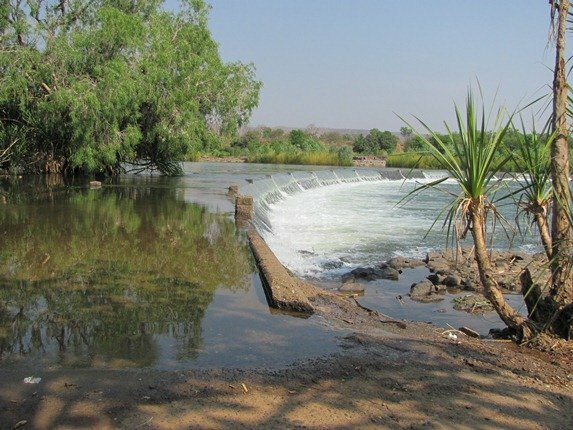 Kununurra is a relatively new town and was built to service the Ord River Irrigation scheme about 50 years ago. The dams that were built enabled agriculture to establish on a larger scale and as such a wide variety of crops are now grown. During our visit there were pumpkins and corn cobs being harvested, but the area also grows mangoes, chia, chickpeas, sorghum and many other crops. There is to be future development in an ever expanding area. The Diversion Dam was completed in 1963 and then the Main Ord River Dam in 1971, which flooded the land of the Argyle Downs Station and became known as Lake Argyle. 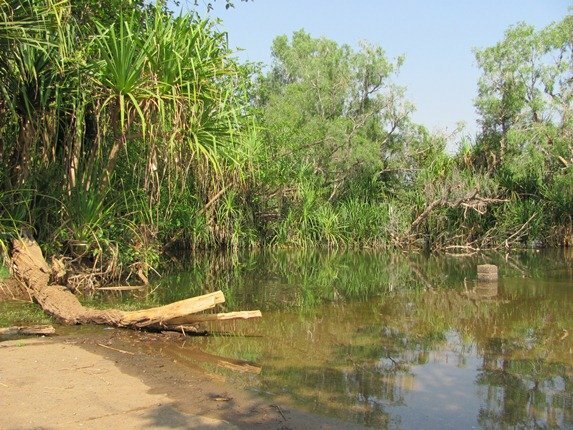 We headed for the area below the Diversion Dam to an area called Ivanhoe’s Crossing, which had been built in 1954 to enable crossing of the Ord River. 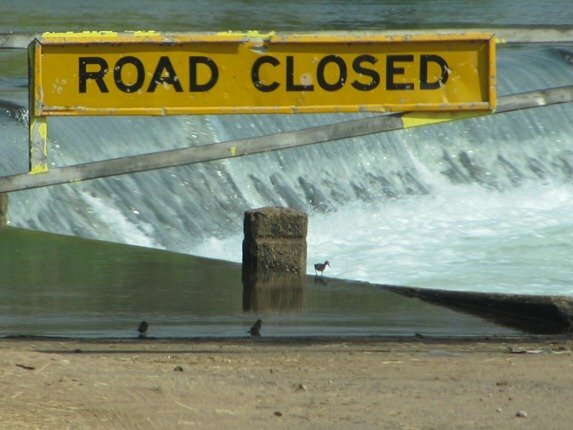 It is currently closed to traffic due to surplus water coming through from the Diversion Dam gates that are undergoing maintenance. It is a popular fishing spot for barramundi and bream. The birdlife did not care that it was closed to traffic and we found a Common Sandpiper and Crimson Finch on the edge of the water as we approached. We positioned ourselves under a shady tree to enjoy the view and observe the variety of birdlife coming in to drink and bathe. 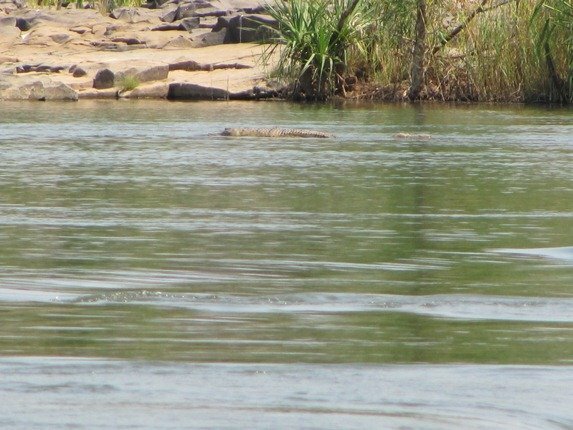 There were three Common Sandpipers and they utilised the bollards across the roadway and a distant log in the river was not actually a log, but a crocodile. 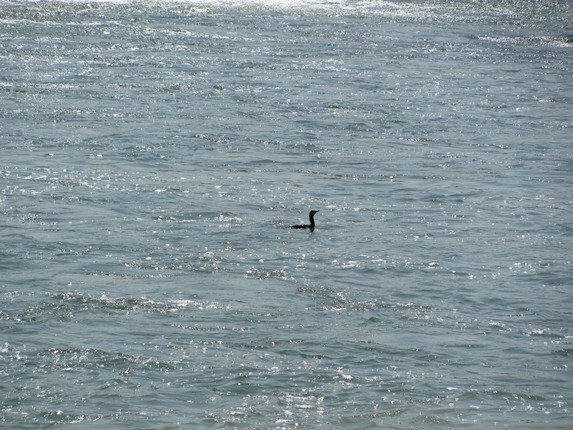 As we sat and watched the world go by the Little Black Cormorants were having a very successful fish below the crossing. They tried above the crossing as well and it would appear there are plenty of small fish for them to enjoy. Several fishermen visited over the hours we spent at the crossing over several days and both bream and barramundi were caught. We were given half of a barramundi by a generous fisherman who said he would not be able to eat all of it himself, which was greatly appreciated. 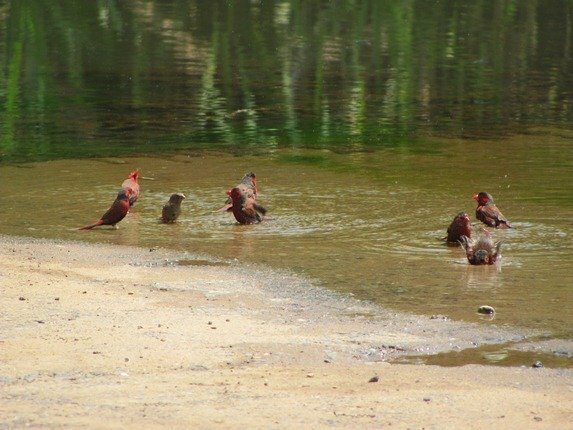 The Crimson Finch came regularly to the water’s edge to drink and bathe and were unconcerned by our presence. 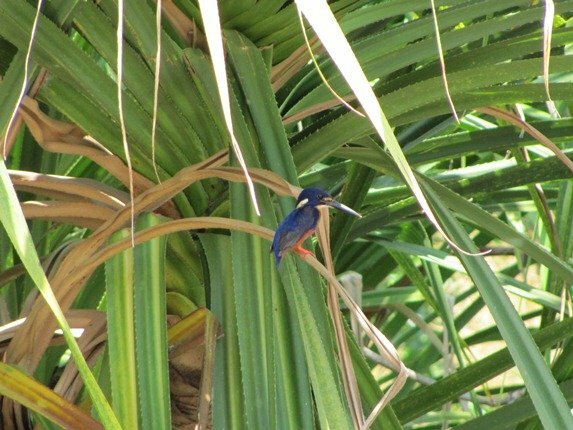 The absolute highlight or our first visit was the sudden appearance of an Azure Kingfisher in the vegetation just to our right. We were cautious and remained motionless treasuring the moment. All of a sudden a bus came to show the area to the tourists. Ivanhoe’s Crossing was featured in the movie “Australia” and has become a popular place to visit over recent years. 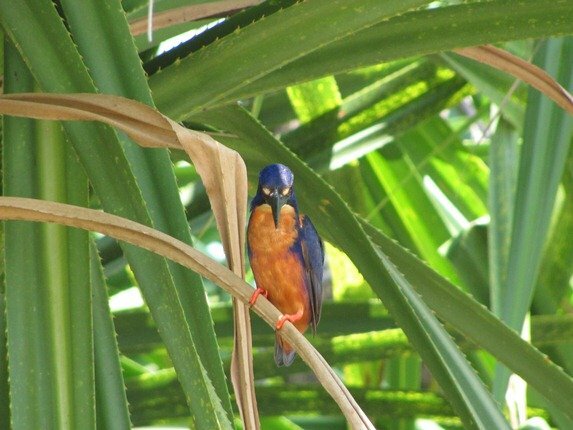 We thought we would lose our Azure Kingfisher to the crowds, but it almost posed for them! Of course I then took the opportunity to get a little closer and take some better photographs. 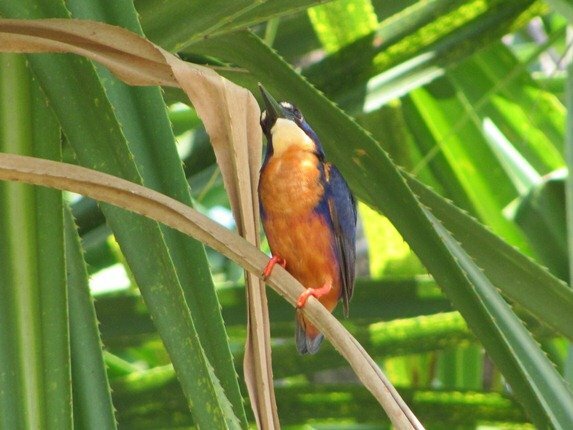 Both the Crimson Finch and the Azure Kingfisher were extremely good additions to my year list! We also added Shining Flycatchers and Banded Honeyeaters at this location. If you need a quiet peaceful spot to sit in the shade and watch the world go by around Kununurra then this could well be the place for you! These birds are awesome, Clare. I’d love to see any of them. And – wow – just like Mike, I’d love to have those species as additions to my year list (which hasn’t and won’t moved much until the end of the year, and I fear Corey and Redgannet will beat me – bouhouuuuu!). 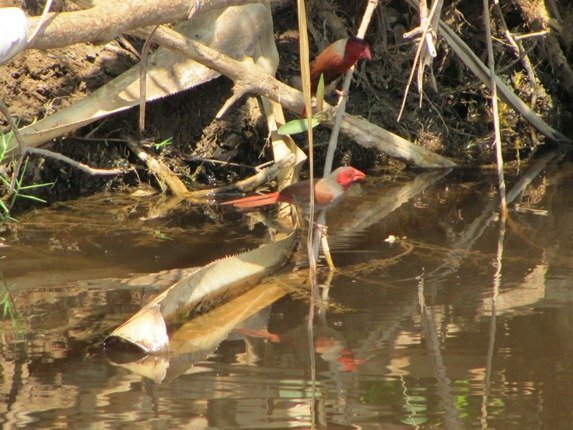 The Crimson Finches and Azure Kingfishers look spectacular! @ Jochen…OK it happened yesterday…but not a whole bus load! 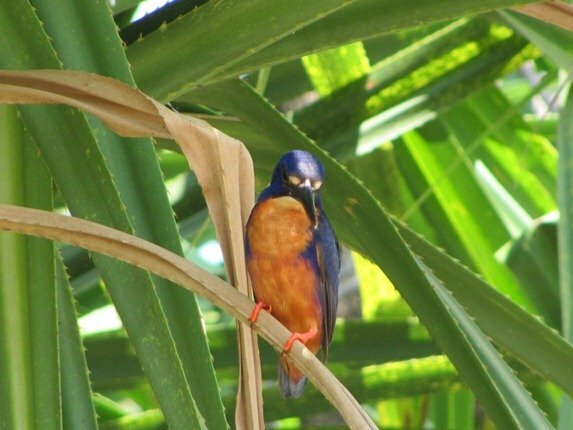 Your pictures remind me of the lovely Azure Kingfisher that posed really nicely when I was in Daintree in 2009. They are such beautiful birds. This was shortly after a crocodile really did eat a boy. The locals I talked to seemed upset, not with the crocodiles but with the boy’s father. Where Are You Birding This Third Weekend of June 2008? Barred Owl Love, Freakin Owlsome!